E is for Explore! 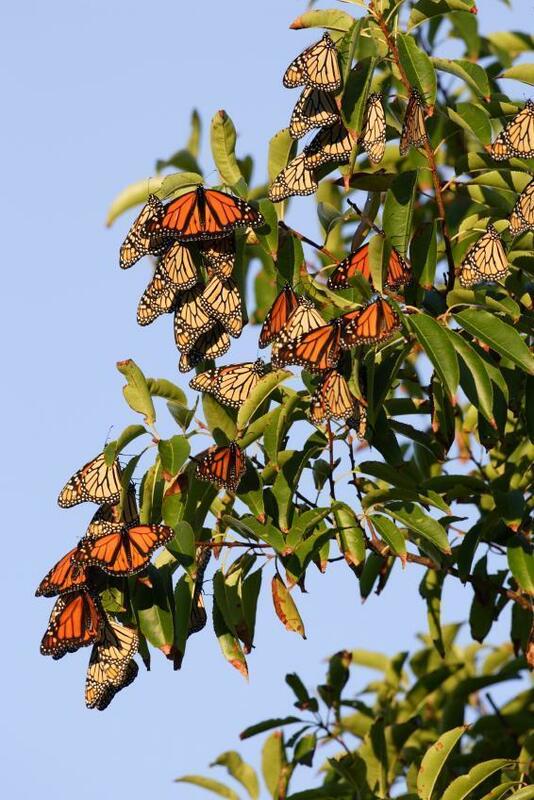 : Monarch Migration Project! Integrate technology with Project Based Learning, by tracking wildlife migration with Journey North! (track the migration of monarchs, whales, and various birds). Monarch Migration Project: students track the migration of butterflies around the world, while communicating with different schools (with the help from Journey North!). Click here to watch the Monarch Migration Project in action from BIE Project Based Learning! Art - Kids create special paper butterflies and send them to the next location the monarch migrates to. The student's paper monarchs travel to the same places that real monarch butterflies do. Their paper creations travel around the world! Science - Students make observations outside of the school. They check the temperature, examine plant life, and find out what kind of environment butterflies prefer. Language Arts - Kids write to other countries, explaining what their environment is like for the butterflies. They read what students from other schools had to say about their backyard observations! Social Studies - Mark off the places the butterflies have migrated on a map. Plus, learn about the different cultures around the world by corresponding with other schools. Check out how kids from around the world decorated their butterflies. Is the butterfly art similar or different to your class' artwork?